Mohammed Al Musthafa was held in August last year for allegedly threatening some boys with a knife when they tried to pick a fight. 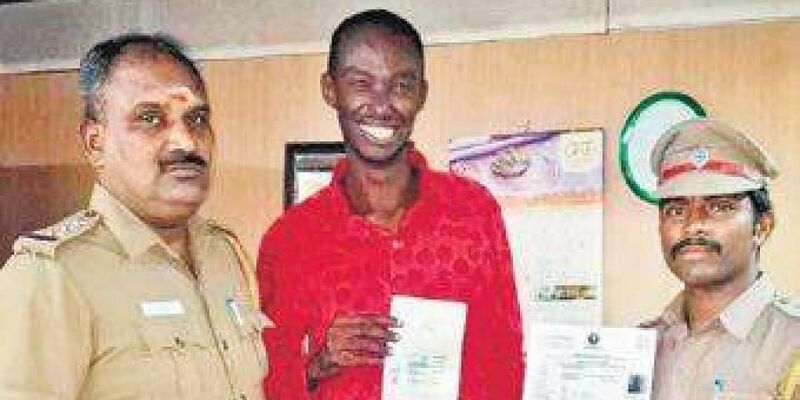 CHENNAI: Twenty-seven-year-old Sudan national Mohammed Al Musthafa will be able to see his family in Khartoum after three years thanks to Chennai cops who pooled in close to Rs 70,000 to help him go home. Mustafa came to India in 2010. He failed his college final exams in 2016. He went to Sudan and returned the same year to re-take the exam but failed. His visa expired in 2017. “I did not have money for studies or to go home. I stayed in Chennai from February 2018 on Marina Beach, doing odd jobs,” he said. On August 2, 2018, he was held by Marina police for allegedly threatening some boys with a knife when they tried to pick a fight. He was released in December. “Last week, he came asking help to go home. We contacted his parents but they said they did not have money,” said a police officer. With commissioner AK Viswanathan’s nod, the cops pooled in some Rs 70,000 for flight tickets and expenses. His friends gave Rs 8,000. He left for Sudan on Saturday. “He was overwhelmed as he hadn’t visited his family in three years. He wants to do farming,” said Inspector S Jayaraj, who made the arrangements.